Basic details for each member. Tony Eaton, dubbed “Silverback” by one of his sons-in-law, started as a singer, supporting many famous names in the ’60s, but his music career went on hold during his respectable period. 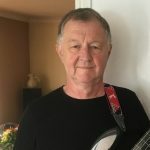 Coming in from the cold in 1995, Tony has honed his guitar skills over the last few decades and is now Jurassic Rock’s music arranger. Tony finds it difficult to come to terms with opera & the far reaches of modern jazz and struggles to identify rap as music, but he enjoys listening to all other genres. In particular, he likes blues/rock and especially admires guitarist Rory Gallagher. For more information about Tony, click here. Bob Settle, know as “Shades” for obvious reasons, has been a musician all his life. 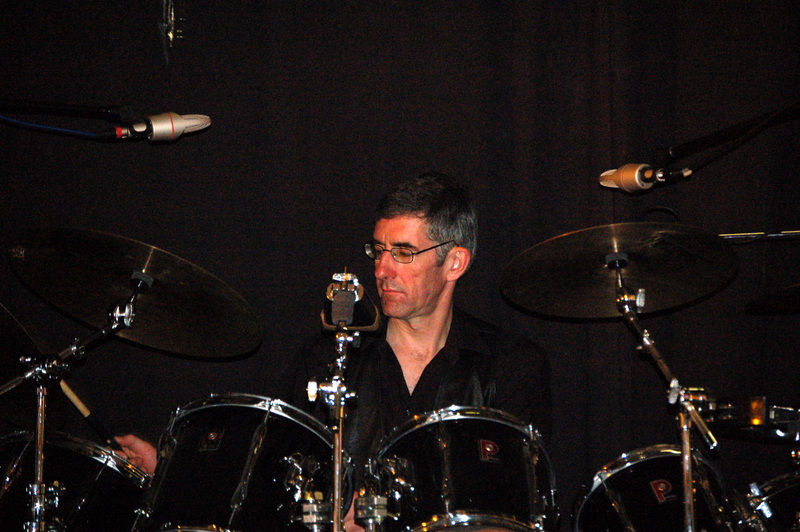 He has music theory and piano to grade 5 and is a timpanist and percussionist as well as being a drummer. 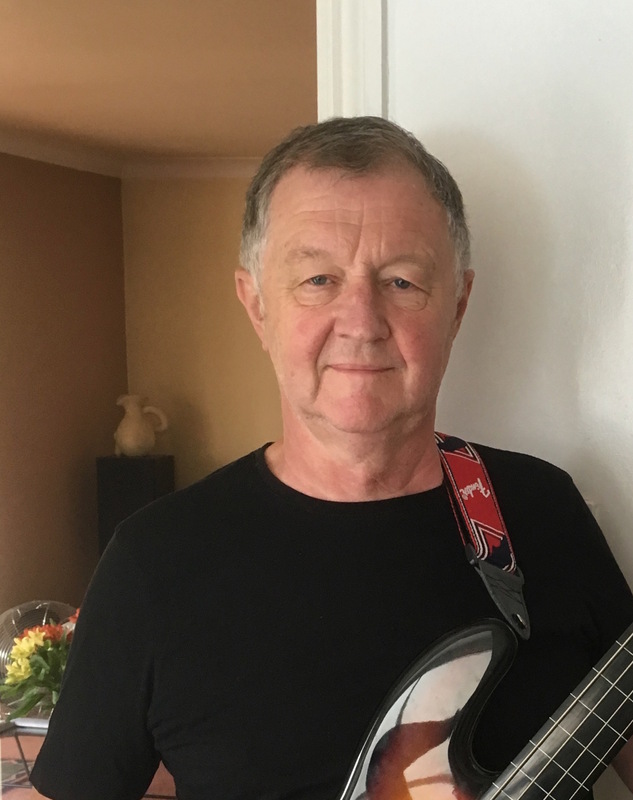 Although more than capable of rocking out with the band, Bob also enjoys playing with The Bury St Edmunds Friendly Orchestra, The Imperial Vienna Orchestra (which, despite its name, is based in Norwich), The Bury St Edmunds Concert Band and the Bridgham and Harling Concert Band. Bob also struggles with rap, but otherwise enjoys all types of music from punk to orchestral. 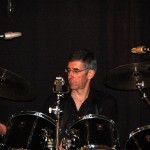 He admires a number of drummers, but has a particular respect for Roger Taylor. For more information about Bob, click here. 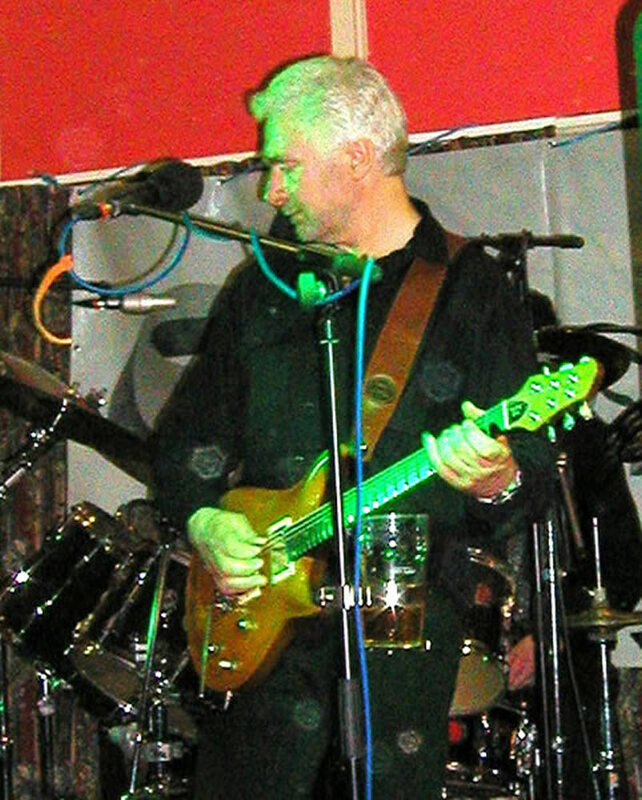 Ian has been involved in music since at least 1969 and likes all types of music that are created and played with sincerity and enthusiasm. He uses mostly a Fender Jazz Bass, but has other instruments to suit certain music and specific songs. His preferred amplification is a TC Electronic head through a Mesa Boogie cabinet. 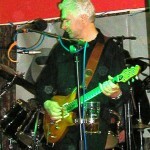 As far as live music is concerned, Ian believes that bands with members who enjoy playing together transmit that feeling to audiences and thus he places great emphasis on the quality of the interaction between band members – just one of the things he has in common with the other members of Jurassic Rock. Unlike Tony, Ian likes some rap because of its attention to the importance of lyrics – most good songs have good lyrics. In addition to playing with Jurassic Rock, Ian writes and records his own material. Some of this can be seen and heard on Youtube.